Flooring companies and home improvement stores depend on contractors and installers for a good percentage of their business. Natural stone window sills are in high demand throughout Miami and South Florida, primarily because of the design trends in this part of the country. Finding a supply of granite, marble, or travertine sills at an affordable wholesale price means purchasing directly from an importer/distributor. Stonexchange is a Miami-based importer of natural stone materials, and each type has been carefully fabricated, shaped, and polished to above-industry standards. 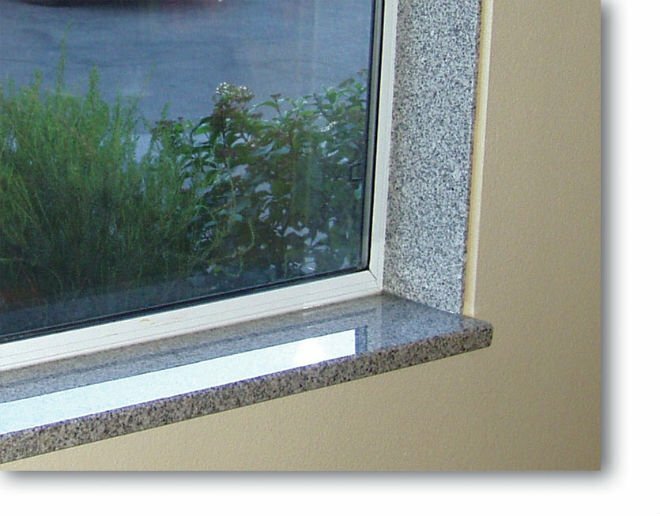 These products include some of the highest quality window sills available. Resellers and local dealers will love doing business with Stonexchange because we can guarantee superior quality while at the same time keeping our wholesale costs to a minimum. Check out the huge inventory of beautiful stone window sills at our Miami warehouse, and consider our company when choosing an importer of natural stone materials. Interior design retailers often maintain a small inventory of stone products available for purchase by homeowners and part-time installers. However, the price of these window sills, floor tiles, and thresholds reflects the limited supply on hand. When merchants buy product in small quantities, the wholesale price is anything but wholesale. Meanwhile, construction companies and their subcontractors are on the lookout for larger quantities of natural stone material, and they find exactly what they need at an outlet store that has a direct connection with an importer.Buying in bulk ensures increased commercial traffic. The Miami area is teeming with older, classic-design structures that are in need of remodeling and refurbishing. Newer construction trends toward a mix of contemporary and classic design as well. These projects involve a large amount of granite, marble, and travertine material used for flooring tiles, walls, countertops, transition saddles, and window sills. The latter must be purchased in bulk quantities or else the subcontractor will not meet his or her budget constraints.The obvious place to go for full-crate or full-pallet supplies of window sills made from natural stone is a local distributor that buys wholesale from an importer. When word gets around that Mr. Merchant maintains a large inventory of windowsills in various styles, sizes, and colors, repeat business explodes. Stonexchange delivers bulk orders of granite, marble, and travertine windowsills throughout the Miami-Dade County area, and we guarantee the availability of our products 12 months a year, every year.Getting the perfect color match is extremely important.One of the problems installers have with natural stone product is finding a good color match between window sills and existing floor tiles. Also, getting the tone just right on replacement sills are a nightmare unless the supplier carries product that works as a perfect substitute for the style specified in the building plans. What if the various products are quarried from the same location and use the very same sheets of granite, marble, or travertine to fabricate the end product? It means the customer can forget about the worries of finding matched colors or patterning. Stonexchange operates manufacturing facilities overseas, located close to the actual quarries from which our natural stone is extracted. Our window sills are fabricated using the latest and most precisely calibrated cutting equipment, and all of our sills are given a beautiful polish prior to packing and shipment. We import huge quantities of window sills on a constant basis, and we enjoy lower-than-average freight costs because our product is delivered in full container loads.Our minimum piece ordering requirement has its advantages. Commercial resellers needing a huge amount of product in order to fill a client request can rely on Stonexchange for prompt delivery each and every time. Our warehouse is jammed full with the most popular styles and colors of natural stone window sills, and orders are processed in just a couple of business days. Customers receive an immediate price quote and have the luxury of mixing and matching orders to include tiles, thresholds, and countertop blocks made from exact or similar material. Property developers often leave the final interior design in the hands of the eventual purchaser. The actual style of window sill needed for each room, unit, or office space is often unknown until the last moment. The contractor charged with installing the materials needs to know where he or she can locate the proper stone product when it comes time to fit the sills. It certainly pays to have the exact style required for the job in inventory, or to know that the material can be delivered in less than a week. Contact us today to learn more about our products on stock.